Ever since 20-year-old British actor, Tom Holland, swung into theaters as Spider-Man in Captain America: Civil War this past May, there's been nothing but compliments for his portrayal of the web-slinging high school student. He's gotten the blessing of former Spider-Mans Tobey Maguire and Andrew Garfield, and now the most important player in the story of Peter Parker is finally speaking out on his portrayal. It's just about the greatest compliment any actor portraying a Marvel superhero has ever received — and it's coming from Stan Lee himself. The creator of Spider-Man himself, Stan Lee, complimented Tom Holland's performance, so, basically, if you have anything to say against Holland's performance at this point, you might as well take a thousand seats. It's Lee's opinion that really matters here. “Oh, he’s wonderful. I was with him [Holland] the other day. He is great,” Lee shared about his experience on-set of Spider-Man: Homecoming during an interview at Denver's Comic Con. “I can’t believe it. It’s as if we created a living being to be Spider-Man, and it turned out to be Tom.” Essentially, Holland is Peter Parker come to life, and that's coming from the man whose heart and soul bred the very character himself. Watch his interview below, and his comments about Holland's portrayal at the 3:55 mark. Lee also revealed that Spidey is his favorite superhero of the bunch, and he described to fans what his process was when it came to creating Spider-Man in the first place. As you may have already guessed, his publisher was not originally on-board with Lee's idea of a wall-crawling bug-like superhero. 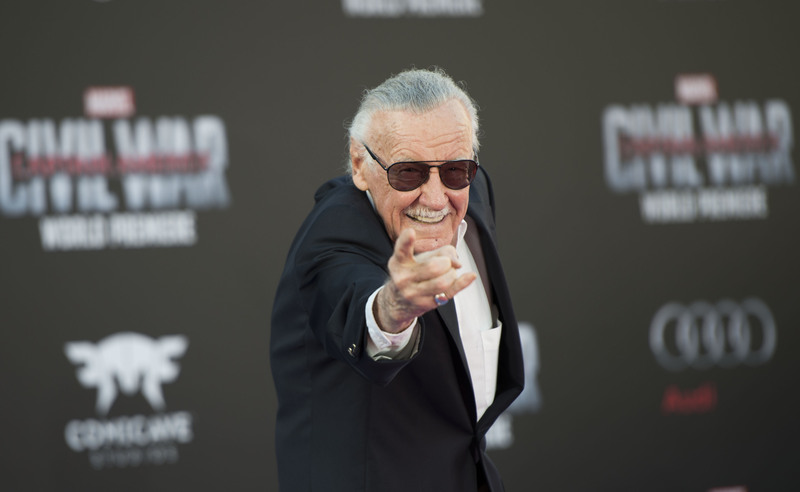 In fact, Lee quoted his publisher as saying, "'Stan, that is the worst idea I have ever heard'," for such reasons as "'people hate spiders'" and "'a hero can't be a teenager because a teenager could only be a sidekick.'" Well, how mistaken he was. Young age, spider-name, and personal problems accounted for, Spider-Man was created in the last issue of Marvel's Amazing Fantasy. And, well, the rest is history. Ahem, Stan Lee dressed up as Spider-Man anyone? A girl can dream.